It’s the time of the year where the world should see another Galaxy Note being released. The Samsung Unpacked event, where the company is expected to unveil the much awaited device will be held on September 3rd and Techetron will be doing a coverage of the smartphone. All that we know of Samsung Galaxy Note 4 can be found out here. Recently, the company posted a teaser video for the Galaxy Note 4 and by watching the video, with all the signs that points to the Note 4’s capability of drawing and all the amazing things that it would be able to do. 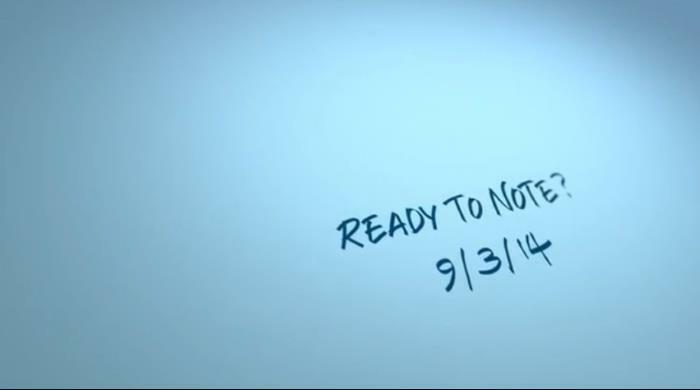 With the teaser video rolling in, there shouldn’t be any doubt regarding the release of the Note 4. According to latest rumors and leaks, the Galaxy Note 4 will retain the same 5.7-inch display but would be entering with a higher resolution at 2560 x 1440 pixels. Mark your calendars for September 3rd, we’ll update you as soon as the Samsung Galaxy Note 4 is officially announced.